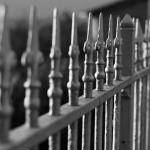 Trying to determine exactly which type of fence is right for your home can be confusing. There are as many opinions as there are homeowners. Thankfully there are also plenty of objective facts that rise above the level of simple opinion and are hard to ignore. 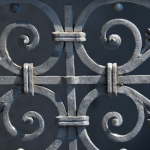 These objective facts more often than not point to metal fences being the best, most sensible choice for your home regardless of where you live or what style of house you have. Master Iron Stairs & Fence provides beautiful wrought iron fencing for homeowners across the GTA. 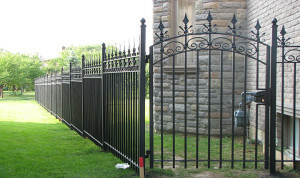 We’ll design and craft a metal fence for you that adds value to your property and unlimited curb appeal to your house. 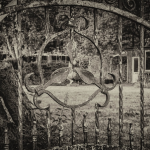 Timelessness: Wrought iron fencing will take the look of your home to places you never imagined. A custom designed wrought iron fence adds character and beauty to the entire property, elevating an average home to one that stands out in the neighbourhood. 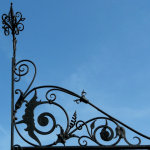 Versatility: Take a stroll around Toronto and you’ll find wrought iron everywhere. 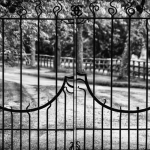 From gates guarding access to billion dollar skyscrapers, to elegant fencing around public parks and gardens to stair railings on homes and apartment buildings. Metal fences in Toronto can be designed to fulfil any application and do so with style. Endurance: Wrought iron fences aren’t indestructible but unless you’re going to drive a truck into them at high speed they’ll handle just about anything else you can throw at them. Even time, the enemy of all wooden fencing, doesn’t have much power over beautiful, stylish metal fences in Toronto from Master Iron. Every fence we craft is designed and built to last. Safety and security: Any determined intruder can cut their way through even the most robust wooden fencing in short order. That won’t happen with wrought iron though. If it’s security you’re after it’s security you’ll have. How large and steadfast your fencing will be is entirely up to you. 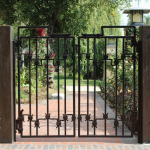 We build everything from delicate, decorative metal fencing to enormous gates that will withstand anything short of that speeding truck mentioned above. Pest proof: Wooden fences will often come under attack by pests. Often damage isn’t noticeable until the fence literally begins to fall apart from termite damage or someone notices wasps entering and exiting holes in the posts. Metal fences in Toronto are pest-proof from the moment you install them until they reach the end of their incredibly long life. Metal fencing will provide the looks and security you want at a price that’s more affordable than you think. You’ll enjoy lower maintenance costs, enhanced curb appeal and greater safety for everyone residing in your house. Call Master Iron Stairs & Fence today on 905-738-8869 and get a free estimate for installing metal fences on your property.